Many Joomla administrators use the Watchful service to maintain and monitor their websites. The core functionality is to monitor / execute Joomla and extension updates, but every now and then additional features are rolled out. 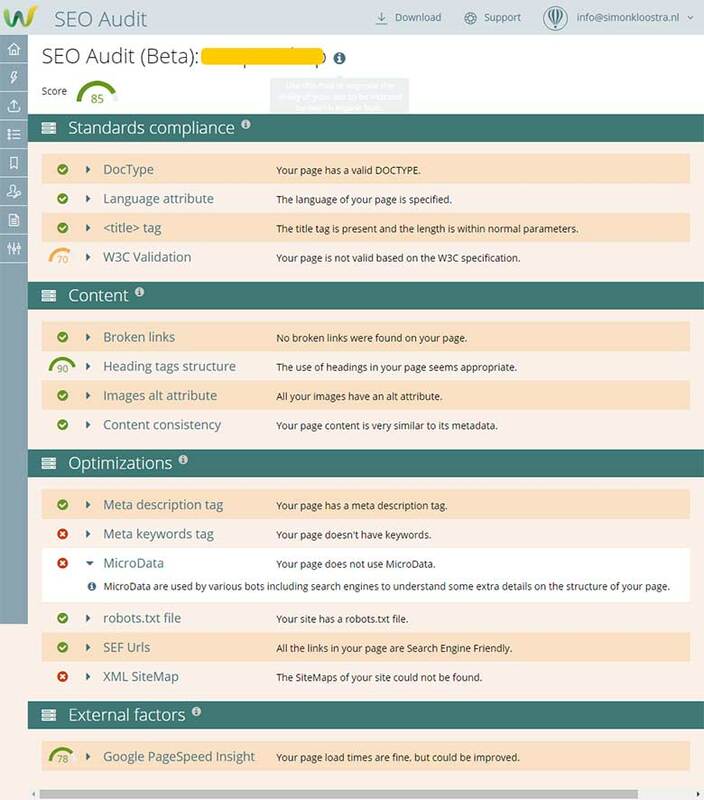 This week, an SEO scan is added to the dashboard. This is very good news for us SEO lovers of course. 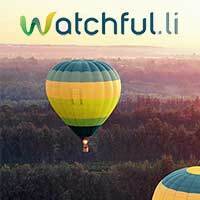 The SEO feature is currently enabled by default for all Watchful users. Since I am an existing subscriber, I can easily show you how the tool looks, so let's jump right into it! In this case, the tool gives us an 85% score, which seems fine, but there is obviously still room for improvement. Alltogether, this gives you a lot of information about your site, and you get it very easy and quick. The tool is currently still in a Beta-version, but it seems pretty stable. Of course, the tool has its limitations: only the homepage is being scanned and it would of course be nice if all pages were scanned. Also not all items are 100% relevant: presence of Meta keywords is not relevant anymore and presence of a sitemap is scored based on the sitemap's location being present in the robots.txt (which is indeed good practice), ignoring it being present on the default /sitemap.xml location. However, these are small issues, just know that you can ignore it. As a final conclusion, we can say that the tool is a really nice addition to the overall functionality that Watchful already offers. For really serious SEO work the tool will not suffice, however. You would need dedicated tools fo that, like Onpage.org, Semrush or others. On the other hand, development is not over. I asked Watchful's Victor Drover about any further developments. He mentioned that first priority is to make the current audit as stable as possible. For the future, of course, it would be nice to scan more than only the homepage. Also, the possibility to schedule the scans instead of having to do so one by one is on the wishlist.